This greenish oil with its full bodied aroma is first cold pressed from specially selected organic avocado. Rich in omega 9 essential fatty acid, vitamin E and flavonoids, Emile Noel Avocado Oil is excellent in supporting skin and joint health. 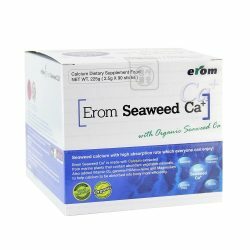 Organic seaweed calcium with high absorption rate for strong bones, healthy muscular function and a balanced emotion!